FIFTEEN Tannum Sands State High School students have battled the elements, lack of utilities, and even vandals, to transform part of their school from wilderness to wonderland. The Year 11 and 12 boys have built a bridge, garden, pathway and pergola at a rear entrance to the school property as part of their CQUniversity VET in Schools Certificate I in Construction. 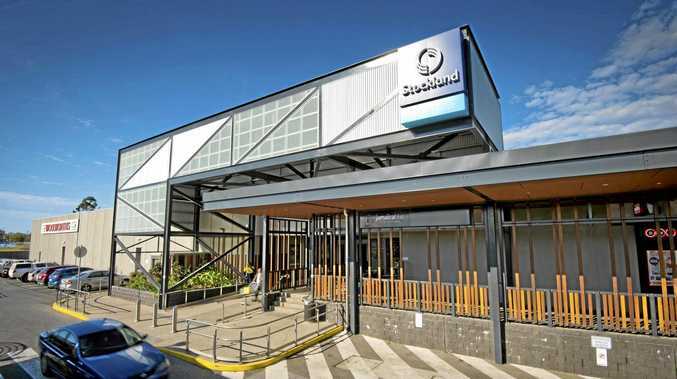 CQU Construction teacher Ric Lane said the project was completed across 12 consecutive Mondays. "To achieve all this in just 12 days is really fantastic - especially since it was all by hand, and without even having power or water to the site," Ric said. "The project definitely had its challenges, but these guys have risen to every one. I'd be proud to employ any one of them in my building company." Several of the students have already received work experience opportunities off the back of their vocational study, and they're hoping the project will boost their applications for apprenticeships. Student Matt Pengelly said he'd previously helped on small jobs around the house, but the scale of this project was "an eye-opener". While initial work on the site was damaged by vandals, the students were able to rebuild, completing the project in August. Along with students and teachers, CQUniversity Associate Vice-Chancellor Professor Owen Nevin visited the site in September, to present the 15 students with their certificates. The students were proud to show off the landscaping and construction work they had completed, and unveiled a plaque with the names of all participants in the project. 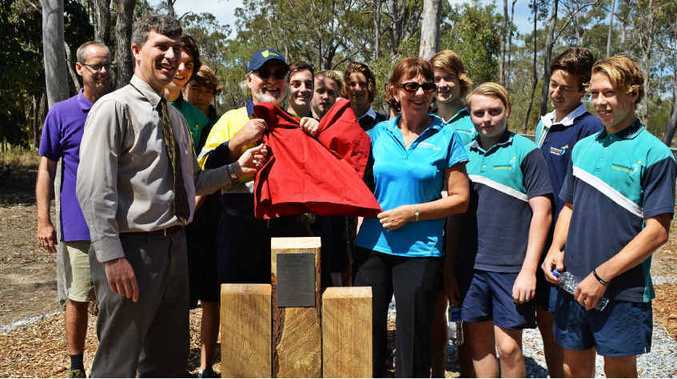 Tannum Sands State High School vocational co-ordinator Todd Comrie said it was the first time that students had completed a major project for the school. "It's been a great opportunity for the students, and also to invite involvement from the community, with Tannum Blue estate donating shrubs for the area," he said. CQUniversity is taking applications for a wide range of VET in Schools courses for 2016. The courses are available to students going into Year 11 and 12. For more information, contact 13 27 86, or visit http://www.cqu.edu.au/study.